We mentioned last week that at LIFE 1010 we have a world-class powerlifter, a competitive soccer player, a mom who tries to fit in some figure competitions(she’s earned her pro card between having kids) and a mom who just eats healthy and exercises to stay healthy and enjoy life. For each of us our need for supplements varies. It should be noted that nutritional supplements should be exactly that, supplements. Nutrition should be built on the foundation of a good diet and supplemented to meet deficiencies in diet or specific needs due to additional demands, such as competitive sports or extra exertion, such as hiking or working in the sun for extended periods. 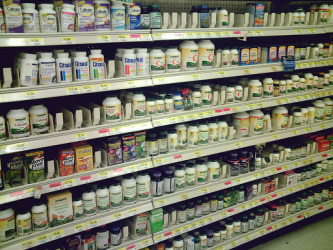 Supplements can also be used to combat illness and sometimes even replace subscription drugs. Supplements can definitely have the ability to boost performance, so don’t ignore them. Instead, get up to speed on them and use them for their intended purpose. Don’t expect them to fix everything overnight, but use them to enhance your diet and exercise programs to maintain a healthy lifestyle. *As always, you should consult your physician before making any diet or exercise changes. We at LIFE 1010 are not healthcare professionals, we’re simply sharing life experience and some of the things that have worked for us. Young children and seniors, in particular, have a high likelihood of special nutritional needs and no child should be belittled or deprived of plenty of health food. O - Print off and read Supplementation 1010. Put this in your binder for review later. Only take supplements with a purpose. O - If you have questions on supplements, email us. Don’t go waste $100 before you do. We have connections!! !